Katie originally from Media, PA, is a professional contemporary ballet dancer working with Newport's company, Island Moving Company. Moving from NYC the summer of 2013 she was ecstatic to bring her knowledge and work of GXS (Gyrotonic Expansion System®,) with her to Rhode Island. As a professional dancer and teacher she trained in Pennsylvania and Delaware before graduating with honors from the prestigious Kirov Academy of Ballet in Wash DC. Besides Newport, Katie performed on numerous stages mainly along the east coast and throughout Europe. She was the first of two dancers to receive an Honorable Merit Diploma from the Tersiphora Foundation of St. Petersburg, Russia in 2004. More on her dance credits are listed here. 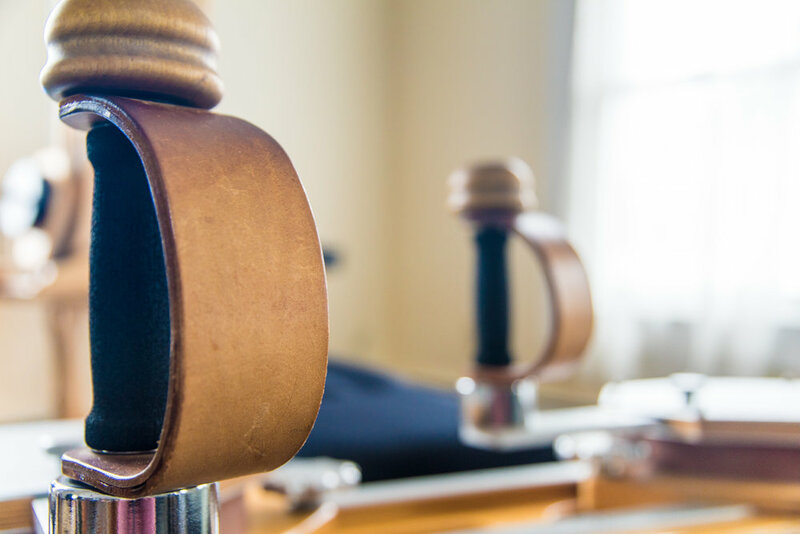 Katie is the first trainer to bring the Gyrotonic Expansion System to Newport, Jamestown and surrounding areas. Her extensive knowledge in the work continues to expand and she enjoys sharing it! Katie works with any individual regardless of age or state of health. Locals and tourist alike are learning more about the benefits of this work. Contact today for more! She is now a Pre-Trainer of Gyrotonic which offers others the opportunity to become a trainer, find out more today! Katie had the honor and privilege to work with the creator of GXS Juliu Horvath. She has completed courses with Authorized Master Trainers Erika Hassan, Billy Macagnone, Sebastian Plettenberg, Clyde Rae Jolie-Ashe, Young-ah Kim and Lucrezia Caricola. In addition she has trained with Master Trainer Emily Smith in NYC, Master Trainer Megan McLauren in South Africa and completed the Gyrotonic application for Golf with GPA and Gyrotonic instructor Dave Rasmussen. Time Magazine "Grace Under Pressure" others say "Turn of the Century Exercise" or "Hybrid Yoga" This video gives a small glimpse into what it all means when you here "I do Gyrotonic!" "Dancer or not you can see how this work guides your body to stretch but remain connected… like the perfect dance partner you are at ease when moving and it is actually fun to move! Not painful - I've seen numerous bodies mold into a pain-free lifestyle over the years. When in Newport RI stop in, otherwise find the closest studio near you asap!"